If I haven't mentioned it yet in my blog, I'm a Hotel and Restaurant graduate. Back in college, I used to compete in culinary competitions, and won the Meritorious Award for Culinary in 2009. I love cooking! I come from a family of wonderful home cooks. My dad's the typical imbentor of viands and savory dishes, while my mom makes lovely snacks and desserts. My husband is a great cook, too, coming from a family of Oragons, spicy food and coconut milk is a staple at home. I swear, if he had taken up culinary and competed with me (because were from the same batch), he would have won. 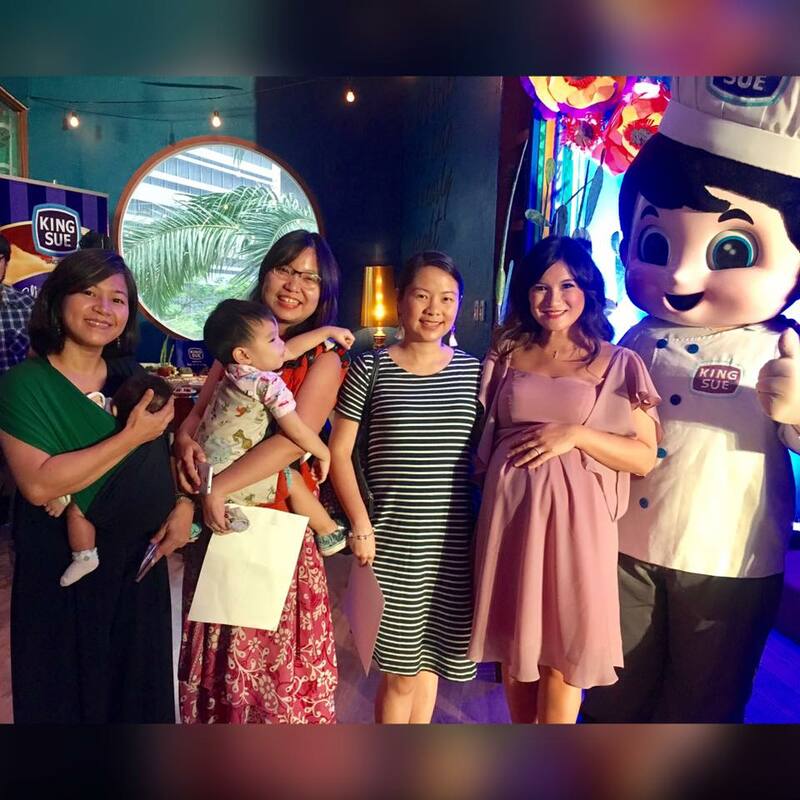 Imagine my delight when, last September 20, I got invited by Dette of Millennial Moms PH to join them for King Sue's event at Early Night in The Fort Strip. Luckily, my work finishes early because we recently changed our shift, so Popy and I headed out for a yummy Wednesday afternoon. I've sampled King Sue a couple of times now, and I finally got the right pronunciation! Lol! 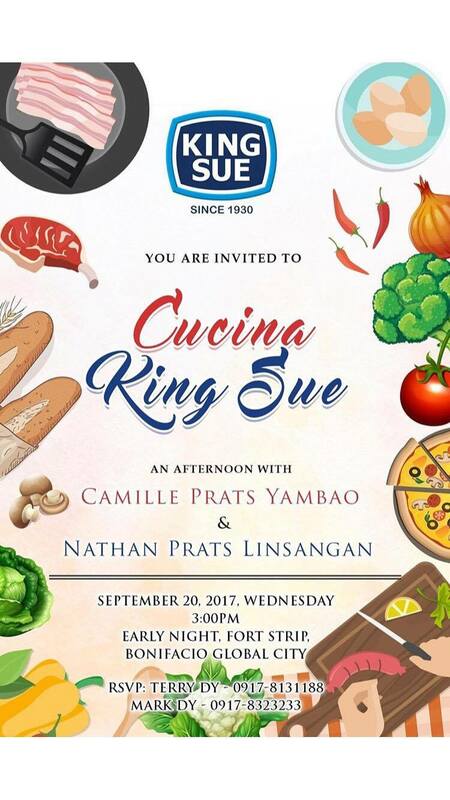 KING SUE (pronounced as su-weh, not sway or su) was founded by Cu Un Kay who landed in Manila a hundred years ago from Fookien, China as a 12-year old boy. After working in his uncle's business and learning how to manufacture cold cuts and ham, he started the brand after the second world war. Eighty-seven years later, King Sue continues to adapt to the Pinoy's palate by introducing a wider variety of products. Their products include their premium Chinese Ham Bone-in (which is a Noche Buena star on your dining table), Pina Ham, Sweet Ham, Hungarian Sausage, Bacon Bits and Bacon Cubes (great for the perfect carbonara), and Sliced Bacon, to name a few. The mother-and-son tandem graced King Sue's delightful afternoon with a cooking demo of food party ideas perfect for the Christmas season using King Sue products. 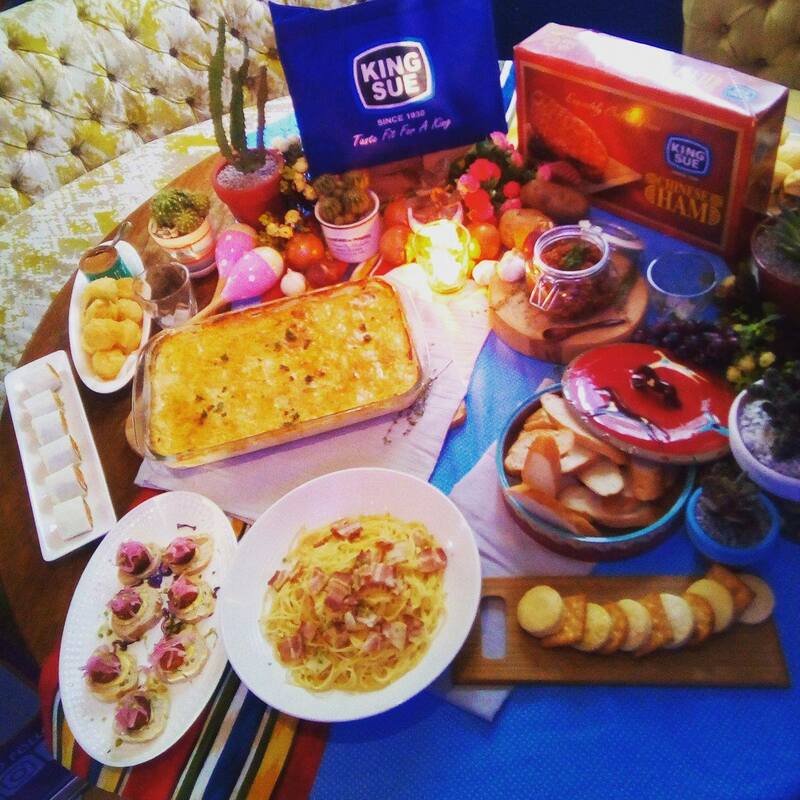 I, honestly, didn't realize that I can cook an entire feast with their products. Camille who recently gave birth to a lovely baby girl (she did mention she was about to pop anytime soon, and indeed, it was soon), said, "Nothing beats a home cooked meal" and mentioned that her mom's a great cook, so she tries her best to cook for her family, too. She added that her mom told her that there no more excuse from cooking when you have your own family already. Joining Camille and Nathan in the food demo was Chef Katrina Cua, and together they taught us how to prepare Buttermilk Scones with King Sue Bacon Jam, and my Popy's favorite, King Sue Hungarian Sausage and Potato Gratin. 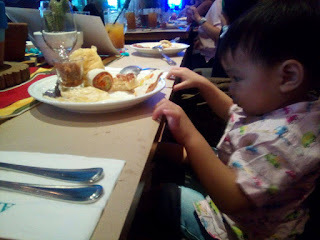 My son with his own plate of food. They grow up so fast! 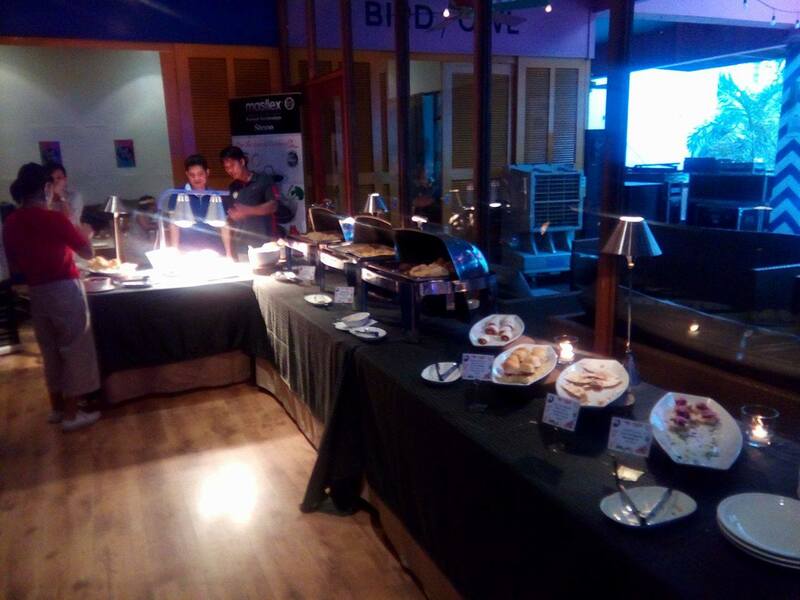 We loved their buffet spread so much, that my 2-year old was still asking for the food on the display after the event has ended. Payday's coming up this week, so why not include this in your grocery list? 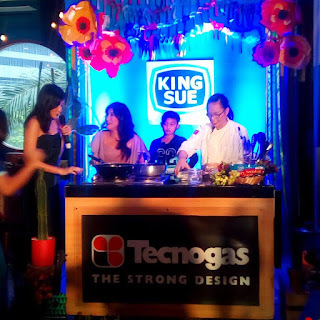 Don't forget King Sue in your Noche Buena and Media Noche, so you can also have a feast fit for royalty! King Sue products are available in all leading supermarkets. For more details, visit www.kingsue.com and follow @KingSueHam at Instagram, Facebook and Twitter. For orders and inquiries, email sales@kingsue.com. 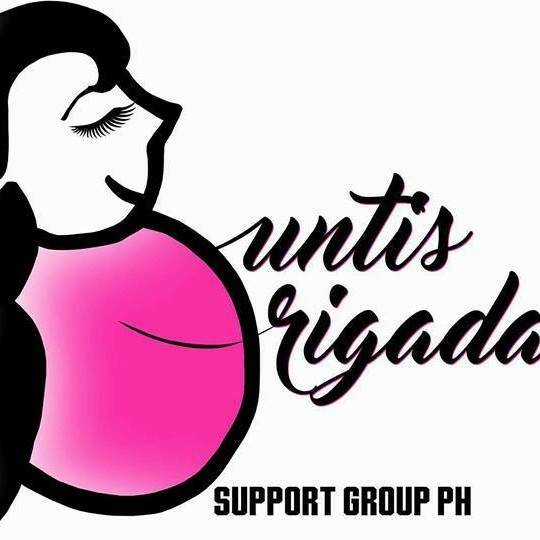 Join Millennial Moms PH for mommy tips, events and support from fellow moms. King Sue is known to have very consistent taste and premium products, my personal favorite is the sweet ham perfect for homemade pizza and ham&cheese pinwheel! <3 Glad you enjoyed the event and the King Sue feast! I'm also a graduate of Hotel and Restaurant Administration. I love cooking, too. My maternal grandmother was a good cook. I think she had a big influence on me. I've had a chance to try King Sue (also learned the correct way after saying King Su) products. I like their bacon and variety of hams. This looks like it was a fun event! Nothing beats a home-cooked meal indeed! I haven't tried King Sue products yet, but if they taste like home cooking, then by all means I'm up for it lol! We love King Sue products especially the ham and bacon, will definitely have them this holiday season. Buttermilk Scones with King Sue Bacon Jam sound yummy! I hope they share the recipe on their FB.